Back in October, I finally found a webcam I could program. 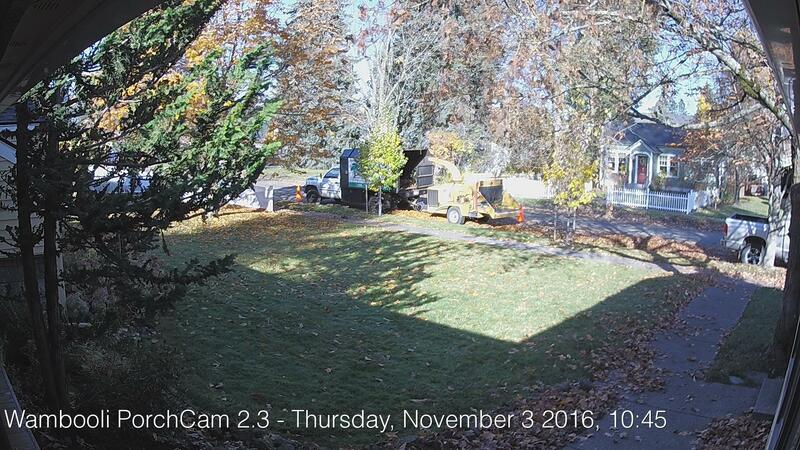 This was the dawn of PorchCam 2.3, the current version of my outdoor webcam that looks north (most of the time) at my front walkway. The previous PorchCam, version 2.2, died in May of 2015. 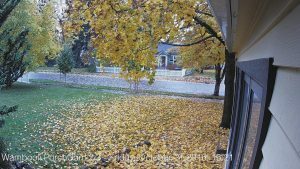 So last year had a brief, mournful review of PorchCam highlights. This year’s is even briefer. As a review (or have I ever explained this process? ), the ProchCam software snaps an image whenever someone logs onto the PorchCam page on this site. The current image is fetched from the camera, timestamped, the displayed on the page. 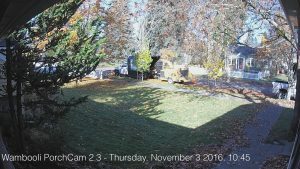 You can use remote controls to pan and tilt the camera, though PorchCam 2.3 doesn’t tilt down, and I haven’t figured out why yet. The camera can also zoom, but the API documentation is weak on how it works, so I haven’t yet implemented that feature. December 4. 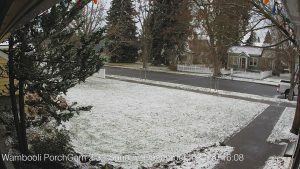 The first noticeable snow on the ground. Very late in the season for a first snow. November 3. I hired a tree service to remove a dying maple in the backyard. Here is the truck, ready to finish the job. October 21. 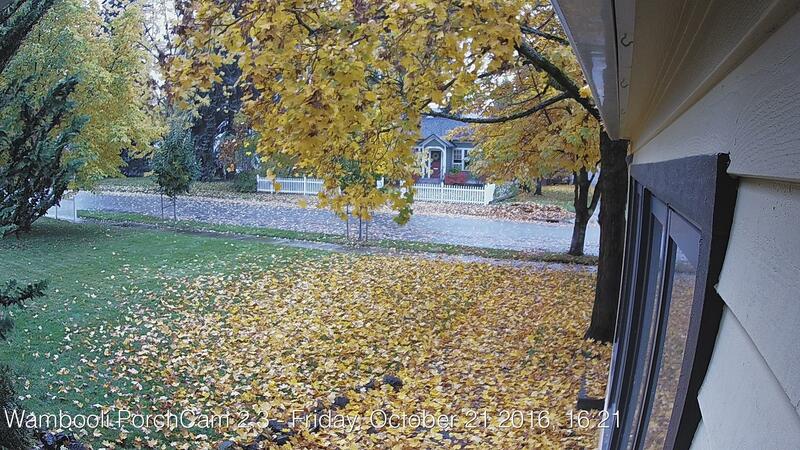 I was out of town and neither of my boys thought it prudent to rake the leaves from the front walk! October 9. 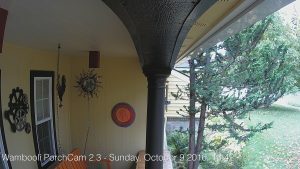 The PorchCam is back online! Here is the first image taken from Position 0, which is looking due west.